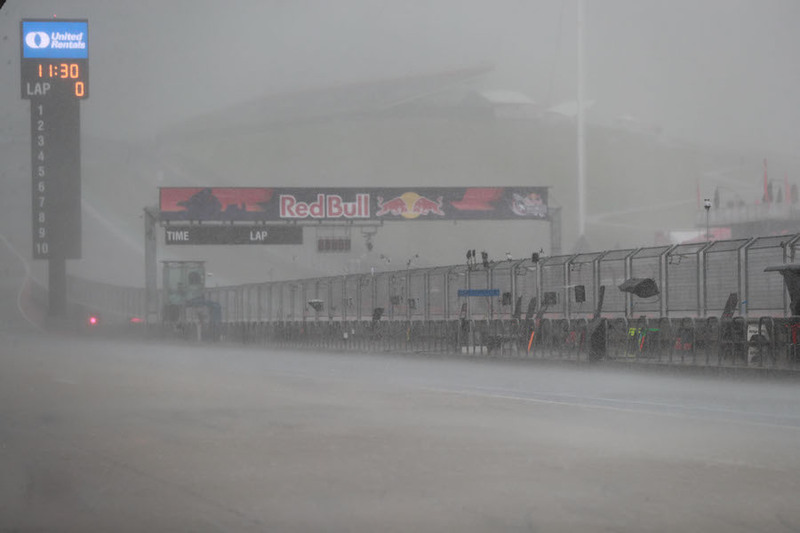 Bad weather and cautious local regulations meant that after a morning of waiting all Saturday morning FP3 sessions were cancelled at Austin. Although a biblical deluge had abated by the time schedule free practice was due to commence at 9am, rain was still falling … but more seriously, there was thunder and lightning about. A local bye-law bans track action is not allowed if there is any electrical storm within eight miles of the track. 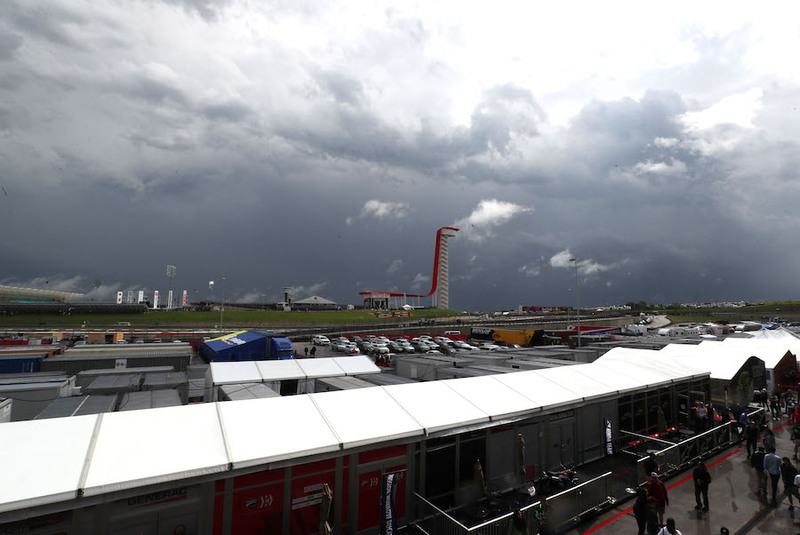 Fans were kept outside the gates until 10:30, marshals were bused back indoors and trackside cameras removed … twice, the second time after hopes of running shortened FP3 sessions were thwarted by the return of lightning to the region. Only MotoGP was able to run a single further free practice, the “untimed” FP4, as scheduled after the two Moto3 qualifying sessions. By the end of that 30-minute session, the sun was out and the track dry enough for slick tyres. On the same day, over in Europe, Assen’s Saturday first Superbike race also fell victim to a different weather system, as unseasonal snow made the Netherlands circuit unrideable. Race One was postponed until Sunday.